Ganpati Bappa Morya pudhchya varshi laukariya! 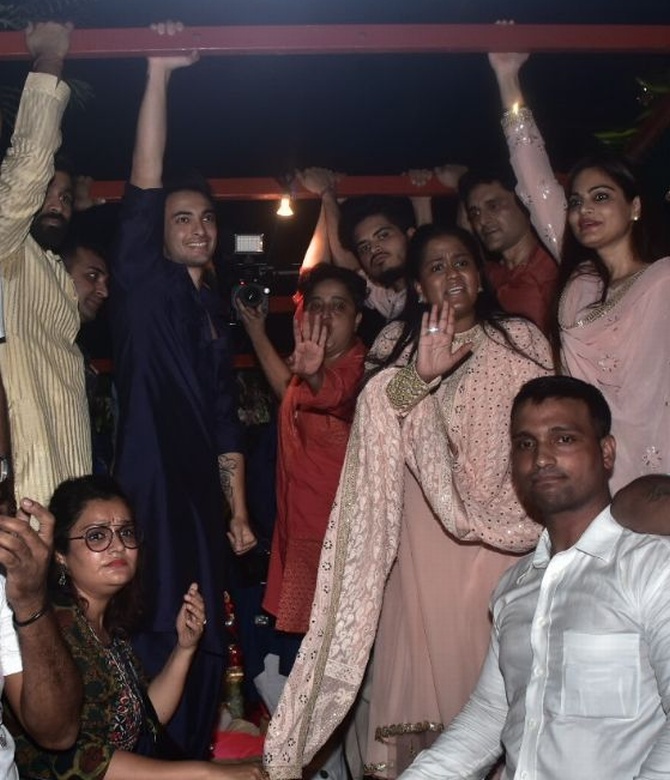 After prayers and celebration, Arpita Khan Sharma and her family bid adieu to Ganpati on Friday, September 14. 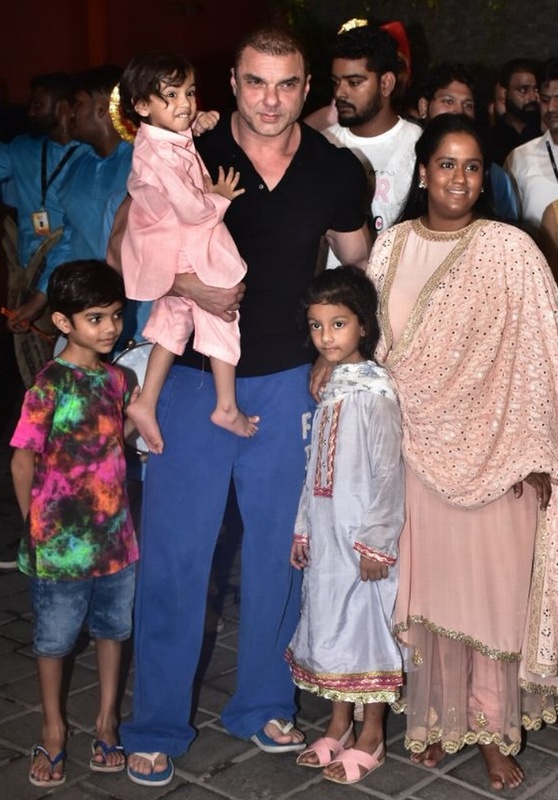 Sohail Khan gives Aahil a better view while Arpita takes in the proceedings. Sohail's younger son Yohan is also seen. 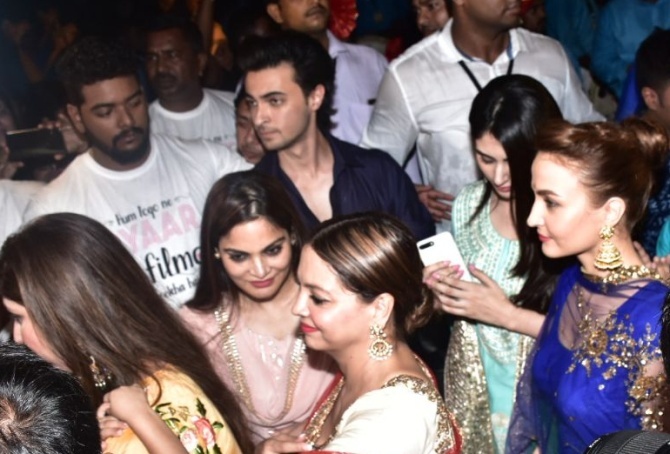 Alvira Agnihotri, Deanne Pandey and Elli Avram together as Aayush Sharma watches over them. 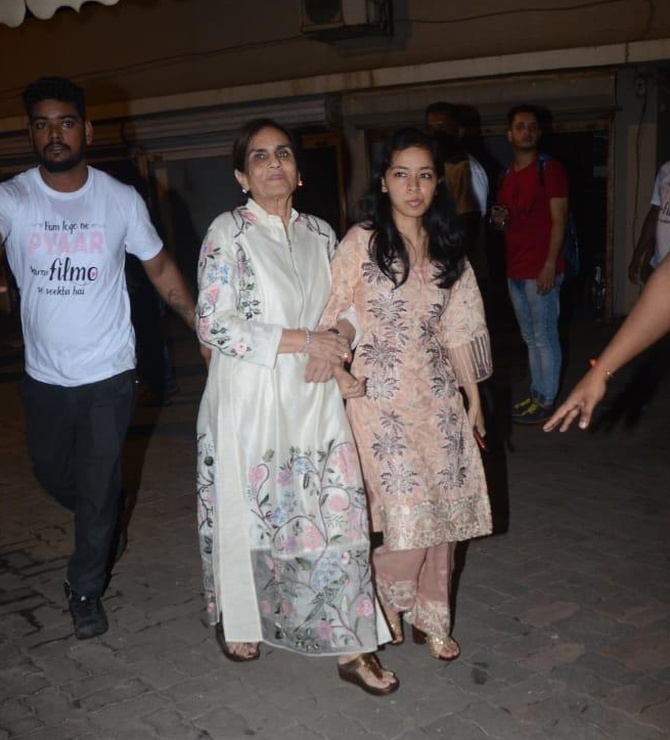 Salma Khan, the matriarch of the family. 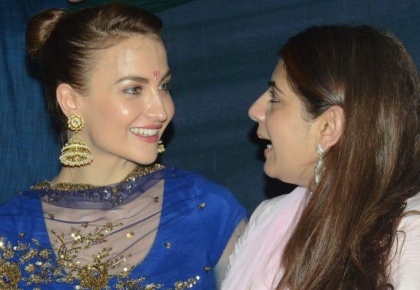 Elli Avram with a guest. 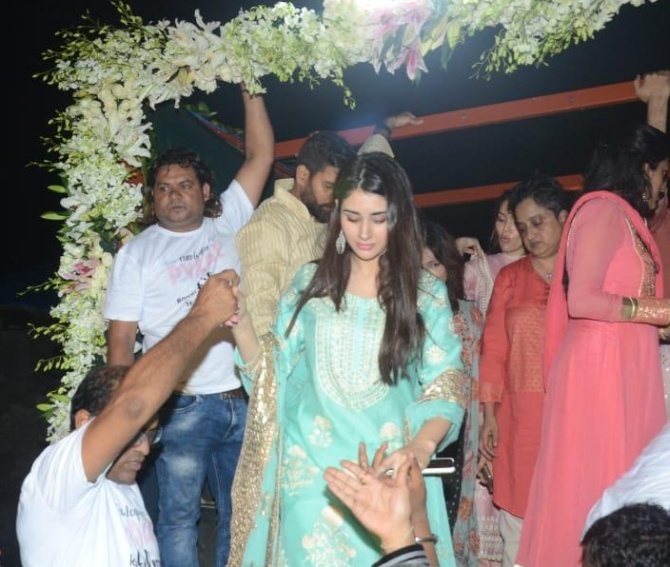 Aayush's Loveratri co-star Warina Hussain gets a hand. Ganpati pandal hopping? Get fashion ready!